RSPB Snettisham nature reserve in Norfolk is home to over 100,000 knot – an incredible wading bird that can be seen flying in huge numbers over the reserve and mudflats of The Wash on the highest tides, performing spectacular displays for those who come to see them – but sadly, not a single knot has a name. Why does James Lowen #LoveSnetts? The eastern sky has started to glimmer hopefully, but I am directing eyes and ears westwards. It is November, and – here on The Wash – it is very nearly showtime. Author: Emily Kench. This item originally appeared in the July edition of Let's Talk magazine. Snettisham is special. As the sun rises and sets, it touches vast mudflats that divide the sea and inland lagoons. When the sea rolls in on a high-tide, the mudflats disappear – blink and you’ll miss it – the tide doesn’t hang around in north Norfolk. Why did the RSPB decide to use crowdfunding? We decided to research alternative ways to fund projects; when we looked into crowdfunding, it seemed to tick all the right boxes for us. We know that Snettisham is an extremely special place for lots of people and rebuilding the hide was something many people told us that they, as individuals, would be willing to get behind and support. This week has been a landmark one for The RSPB in the East as we launched our first ever crowdfunding appeal, starting the clock on a 28-day appeal during which we hope to raise the £120,000 needed to replace two wildlife hides at Snettisham nature reserve destroyed by coastal storms in 2013. RSPB Snettisham sits on the edge of The Wash: the UK’s most important inter-tidal wetland site nationally. 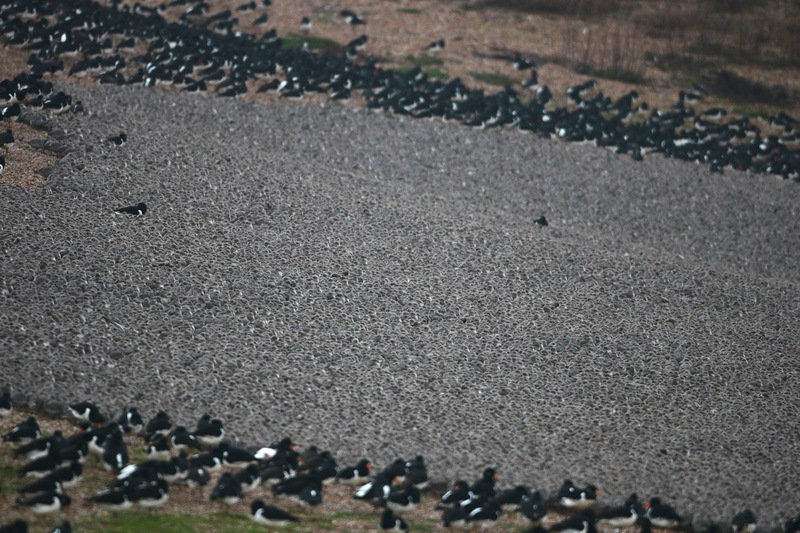 At peak times, The Wash can hold between 400 – 450, 000 waders and wildfowl. Up to a third of these can occur on our reserve.